Are you struggling to achieve that Hollywood lean look? Or maybe you’re just trying to determine the right course of action to take with your diet and fitness? Every goal becomes easier when you’ve got good data that can help you track results. That’s what the best body fat scale is able to do for you today! You’ll be able to set better fitness goals because you’ll have better information available to you every day. Before you can set quality fitness goals, you’ve got to find a tool that will provide you with reliable information and data. The chart below takes a look at the best body fat scales and lets you find the products that work best for you. What Is a Body Fat Scale? Why Do You Need One? A body fat scale will do more than just provide you with your weight when you step onto it. They are powered with a safe, gentle electrical charge that will either go up through your feet, into your hands on some models, or both. Now if you have a pacemaker or a similar life-support device, you won’t be able to use one of these because of the electrical charge that is introduced to your body. This charge is needed because that is how the analysis of your Bioelectrical Impedance is made possible. Your body fat does not do a good job of conducting electricity. It’s a pretty good insulator and that means when a charge is introduced into your body, the measurements can determine how much resistance is being applied to the charge through body fat. Using built-in algorithms, a wide range of information can be determined, including body fat. It is useful to have this information because your BMI and body fat can put you at a greater risk of certain health issues. Heart diseases, diabetes, your liver, and even kidney function can all be affected by having too much fat content in your body. By tracking this information as you work on losing weight, you’ll be able to lose the real pounds that need to go away without eliminating the muscle and hydration that your body needs. How Do You Find the Best Body Fat Scales? Your journey begins with the comprehensive reviews that you’ll find right here. By taking a fact-based approach, you’ll be able to get information about the scale that interests you. There’s no hard sell here or subtle influences to push you toward one specific product. We’ve found the best body fat scales on the market and then brought that information to you so that you can make an empowered decision. The features of the best body fat scales are also important to look at. Some scales only measure your body fat percentage, while others will provide full body measurements that include bone density and water weight. You can save some money by investing in a body fat scale that doesn’t have a full slate of features if you don’t happen to need all of that data. 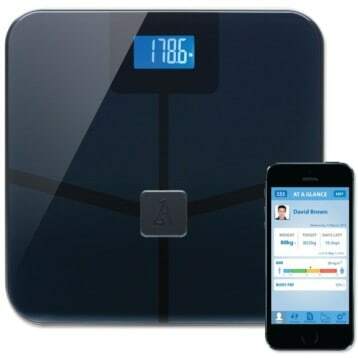 Because there is a slight electrical charged introduced into the body from these scales, those with sensitive feet might want to look at a scale option that lets you monitor your body fat through hand sensors instead of foot sensors. 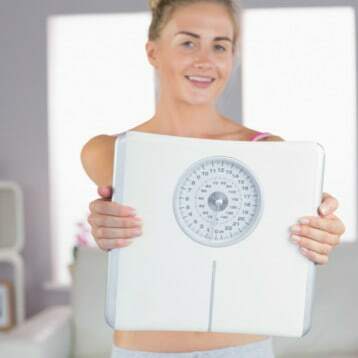 Look for makes and models that have a good reputation for accuracy as well because not every algorithm is programmed the same way in today’s mass market of digital bathroom scales. What Makes For a Good Body Fat Scale? The best scale for body fat will have some specific features that you’ll want to look for during the shopping process. Long battery life. Look for lithium batteries that are included with the scale. Many just use AA or AAA batteries. Multiple measurements. Go beyond the body fat percentages by getting data about everything from your bone density to your muscle density so you can adjust your diet and workout. Low profile platforms. You shouldn’t feel like you’re stuck walking up a set of stairs just to get onto a scale. Look for wide, shallow platforms for the best experience. Going through the body fat scale reviews that you’ll find right here will help you find the scales that have the best features to meet your needs. Look for these three key features in particular if you’re looking for a top-of-the-line scale that will work for years to come. What Are Some Common Problems With Body Fat Scales? When using the best scale to measure body fat, you’re bound to run into some difficulties every now and then. The most common issue that people run into is moisture, either on the body or on the contact pads. Because water is conductive, the readings the scale will provide will be off. That’s why we recommend not putting a body fat scale into a bathroom that is used for regular showers. We recommend placing the scale just outside you bathroom if possible. There’s also the fact that the best body analysis scale you can find is essentially giving you an estimate of your body fat and another data. It’s a pretty reliable estimate, but still isn’t a full replacement for a physical from your doctor. Use the data as a way of tracking success, but realize that you could be a few percentage points off here or there at any given time – especially if you have large muscle content in your body already. What Are the Prices of the Best Body Fat Scales? The best body fat scales on Amazon have about the same price range as other niche scale products that are available today. Entry-level models typically have a price point around $20 and will generally just measure your weight and your body fat percentage. 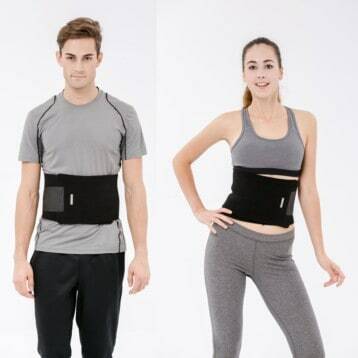 If you look at the higher end models, which are priced around $100 usually, you’ll be able to get more data, like your hydration levels or visceral fat levels. The average household can typically find a good bathroom scale that measures body fat for about $50 and still have the opportunity to allow multiple users on the same scale. Do you have a Fitbit fitness tracker that you wear on your wrist routinely? If you want an all-in-one health tracking service, then the Fitbit Aria could be the solution you’ve been searching to find! It offers measurements of up to 350 pounds and can be registered in stones or kilograms. You can set up weight goals with daily eating plans that will keep you moving forward with positive steps and even use the free smartphone apps included with the purchase of this scale so you can easily track, share, or adjust your progress as necessary. With just one use, you’ll quickly see this is one of the best body fat scales around today. The key feature of this body fat loss monitor is that you can choose two different modes based on what your unique needs happen to be. There’s a “normal” mode for the average Joe who just wants to slim up a little bit to fit into the pants that are on the top shelf of the closet. Then there’s an athletic mode that will help provide accurate results based on the exercise regimen that is being used. This means everyone can get the data they need to achieve a specific fitness goal. What is wonderful about this particular scale is that you will receive your body fat percentages in one-tenth percentages instead of .5% percentages. There’s no rounding up or down here that can make you think you’re making progress when you might not be. This accuracy lets you see how your body fat varies throughout the day and with specific dietary choices, giving you a tremendous advantage as you journey toward your fitness goals. The GetFit offers a unique set of stats that other digital body fat scales just don’t provide. You’ll get your weight, of course, but you’ll also get an accurate percentage of your body fat. There are also options to measure the percentage of body water that you have, what your muscle mass happens to be, and even your bone mass. This means you’ll get a complete picture of your fitness, once programmed, in just seconds! With its ability to measure up to 400 pounds with a 0.2 pound accuracy, the overall versatility of this scale is definitely what makes it one of the best body fat scales there is. This breakthrough device uses 6 sensors to accurately read what is going on over your entire body. It’s a system that has shown to be as clinically accurate as the devices that are used to track the same information at your doctor’s office. You can store readings for up to 90 days and in return, you’ll be able to track some key fitness indicators that other products just can’t do, such as resting metabolism. This lets you get a better picture of your fitness and fine-tune your adjustments. Although the Tanita BF679W is billed as a duo action scale, it actually does more than just measure your weight and body fat. You’ll also be able to see what your body water percentages are and be able to program the results for two different users. If you prefer, there is also the option to give just a weight option and there’s a guest reading that is available as well. Although the LCD screen isn’t as big as other makes and models, you can have greater confidence in the date that you’re receiving. That’s a reasonable trade-off in most circumstances for the average household. Coming in two colors, what we really thought was ingenious about this particular scale was that it takes a weightless approach to fitness. Now of course you’re always going to weigh something, but instead of giving you the exact number of every day, you’ll see how much you’ve changed instead. Big numbers on a scale can lower self-esteem fast, but seeing any change for the better provides an internal trigger to work harder for success! We really love the design of the Withings app that comes along with this scale. It lets you visualize your weight loss as it is occurring and lets you track specific weekly goals. The app also lets you see how much distance you cover over specific periods of time and even looks at the quality of your sleep duration so you can make adjustments as necessary. It’s smart enough to help you make adjustments, but simple enough that anyone can use it. You can also share your results on Facebook or Twitter if you wish. Elegance is not an adjective that you would normally associate with something like a bathroom scale, but that’s exactly what the Ozeri Touch happens to be. Even so, it’s the programming that really stands out with the Ozeri Touch. Using an advanced algorithm, it is able to instantly calculate what your bone mass, hydration, body fat, and muscle happen to be. There are three touch-sensitive buttons that help to use all of the features of this scale that are easy to use and it measures weights up to 440 pounds in 0.2 pound increments. All of this combines to make the Ozeri Touch one of the best body fat scales available right now! Why should you have to sacrifice your personal style just to get an effective body fat monitor? The Tanita BC533 is not only part of the line of scales that is known for complete accuracy, but the round design will give you a modern look for your bathroom as well. Go beyond fat percentages with this scale by tracking body water and muscle mass with memory recall that is available for up to 4 users. Made from glass and with silver highlights, you will love how easy to read this scale happens to be. If you want a great product and aren’t afraid of an investment, then this is the scale you’ll want to own! If you’re ready to start making a difference in your life, then it is time to know how your body is storing and using fat. These scales in this category will help you do just that for an amazing price that you won’t believe! Take a few moments to go through each of the body fat scale reviews today and you’ll find the best product possible to meet all of your needs!